Office Space - Malmesbury, Wiltshire. 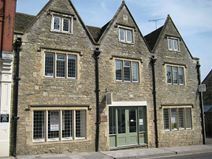 This listed building was recently completely refurbished to provide a range of comfortable and flexible self-contained and shared office space. The centre is situated near to a good range of eateries and retail.